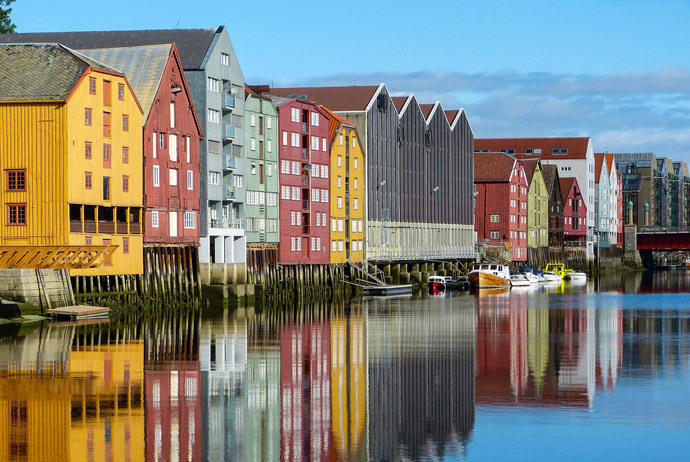 With its colourful wooden buildings and charming café culture, Trondheim is the perfect place for a city break while you’re in Norway. The streets here simply breathe history. This used to be Norway’s capital in medieval times, and you can really feel it when you visit impressive buildings like the city’s cathedral. But this is also a young city. 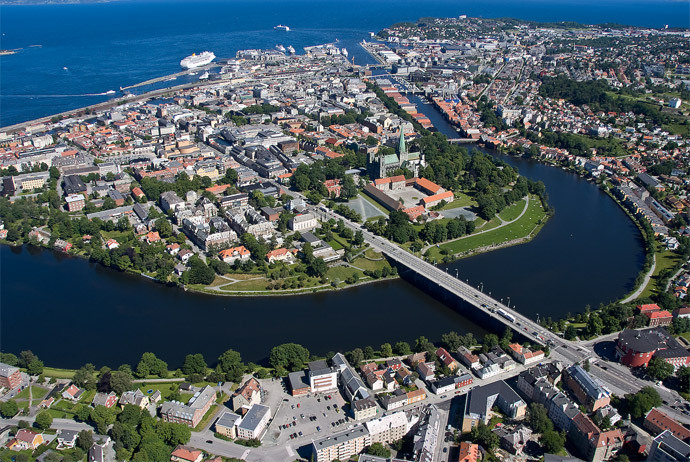 Trondheim is home to one of the biggest universities in Norway and a growing population of start-up companies, which gives the whole place a surprisingly vibrant atmosphere. The best part is that while Norway can be an expensive place to explore, your visit to Trondheim doesn’t have to cost the earth. Read on for some top tips on how to see this beautiful Norwegian city on a budget. There are plenty of ways to travel to Trondheim, whether you’re coming by plane, train, bus or car. You’ll find direct flights to Trondheim from lots of bigger hubs in Northern Europe, including London, Stockholm, Copenhagen, Berlin and Amsterdam. There are also several flights from Oslo to Trondheim each day. Trondheim is also easily accessible by train, and travelling by rail gives you a great chance to admire Norway’s fantastic countryside. For tickets from Oslo and other Nordic cities, head to the ACP Rail website. The city’s main rail connections are the Nordland Line, which travels to the north of Norway, and the Dovre and Røros that connect the city to Oslo. The Meråker train line also takes you to across the border to Östersund and Åre in Sweden. Lastly, travelling to Trondheim by car or bus is just as easy. The city is connected to Norway’s main network of trunk roads, including the E6 highway that crosses the land from south to north. 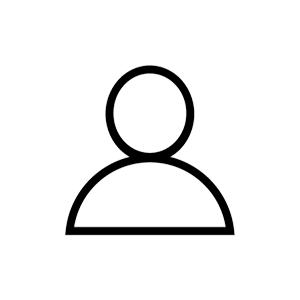 This page has info on renting a car. One of the most affordable options for spending a night in Trondheim is to hire one of the many properties listed on Airbnb. There are loads of apartments available to rent through Airbnb right across Trondheim, some of which will even give you a scenic view over the Nidelva River. Another option is to book into one of Trondheim’s budget hostels. 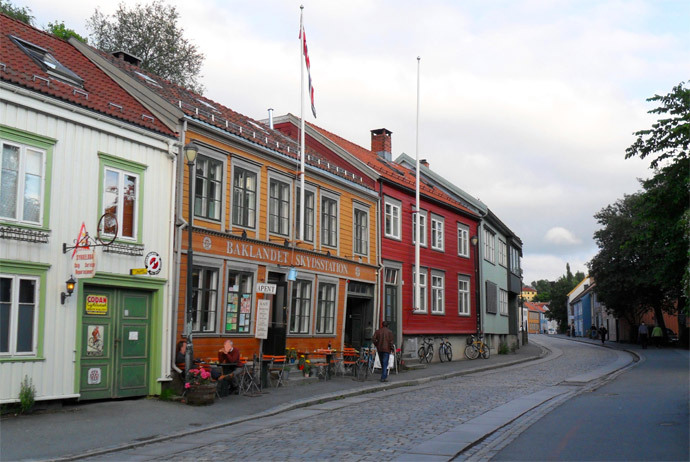 For instance, you could check into the Trondheim Vandrerhjem, a modern hostel that offers clean rooms and a lot of amenities, all within walking distance of the city centre. There’s also the Singsaker Sommerhotel, a hotel and hostel that’s open from June to August, and occupies Scandinavia’s largest inhabited wooden house. 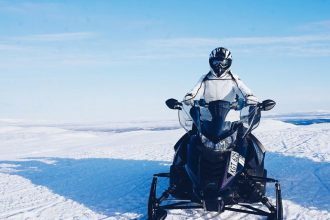 Set within the green and pleasant Singsaker district, this hotel is within easy reach of attractions such as Bakklandet and Kristiansten Fort. 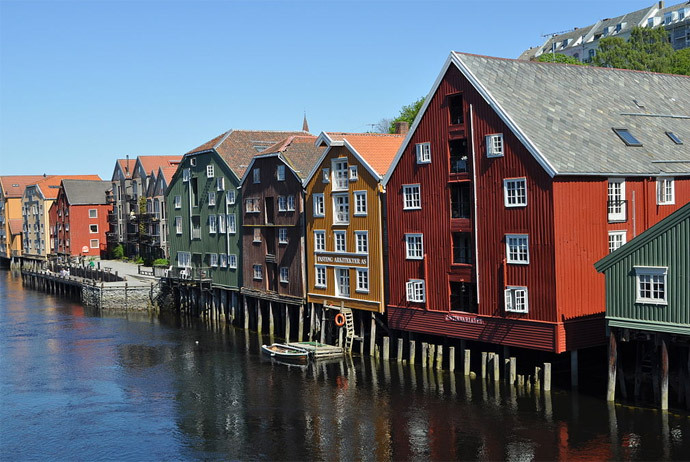 There are enough interesting sights in Trondheim to keep you busy for a few full days of exploring – longer if you’d rather do things at a more leisurely pace. Here are some of the best things to make sure you see and do when you arrive. 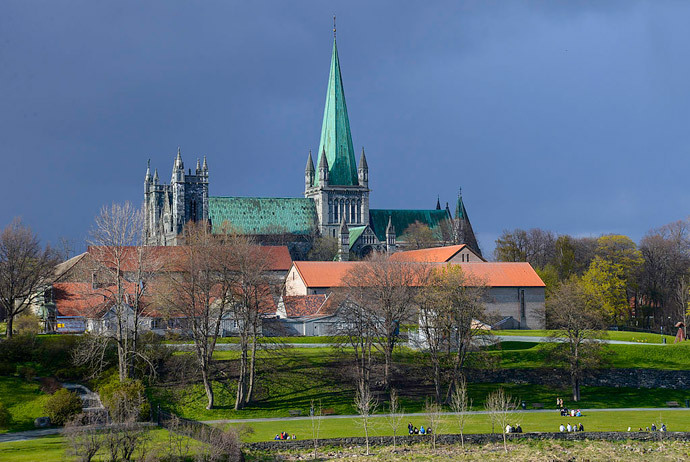 Nidaros Cathedral is one of Norway’s oldest and most impressive churches, and it’s a must see on your visit to Trondheim. The cathedral was built in the 11th century to honour King Olav and it remains the place where Norway’s monarchs are consecrated. Entrance to the building costs around 80 NOK, with discounts available to students and seniors. However, the most stunning views are available totally free from the square in front of the cathedral. From there you can take in the jaw-dropping detail of the church’s stone carvings, which include saints, kings, prophets, as well as an array of grimacing gargoyles. Kristiansten Fort was built in the late 17th century, high on a hill overlooking Trondheim, and it offers spectacular views over the city. 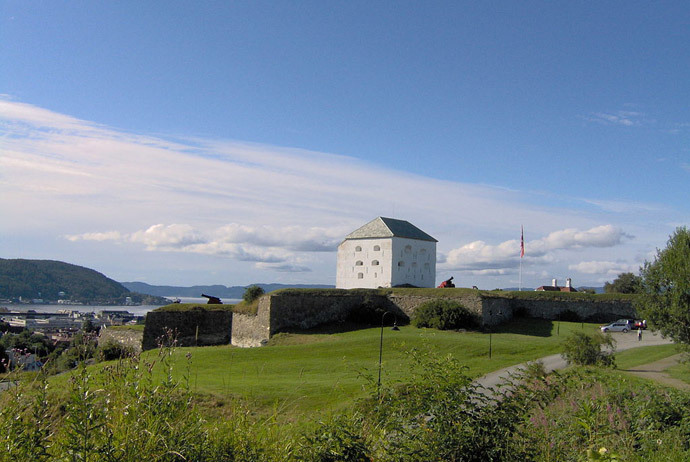 This pure white defensive tower has seen its fair share of history, as it once helped to repel a Swedish invasion, and was also used as an execution ground for the Nazis in World War II. Entrance to the tower is completely free, and inside you’ll find a small museum with more information on its fascinating past. The hillside gardens adjoining the fortress are also free to explore, and they make a great place for a stroll. In the summer, you’ll see many Trondheim residents coming up here to relax and enjoy their picnics. If you’re looking for a beer and a bite to eat, you should definitely head to Trondheim’s uber cool Solsiden district. This waterside area was once a working shipyard, but has now been converted into a buzzing neighbourhood of restaurants, bars and offices. With its old red brick warehouses and other industrial trappings, the area still retains echoes of its shipbuilding history. When the sun is shining, it makes for an excellent spot to kick back and sip on a brew by the river. From the Nidaros Cathedral, take a walk over the Gamle Bybro (or ‘Old City Bridge’) and you’ll soon come to the charming district of Bakklandet. This is a neighbourhood of richly coloured wooden houses and cobbled streets, which has been well preserved since it was built up in the 18th-century. Nowadays, Bakklandet has an almost bohemian feel to it – it’s full of galleries, cafés and independent shops, all just waiting to be explored. Some of the highlights include the fashionable clothes shop Seams, and the design collective Sukker who offer their own unique textiles and jewellery. 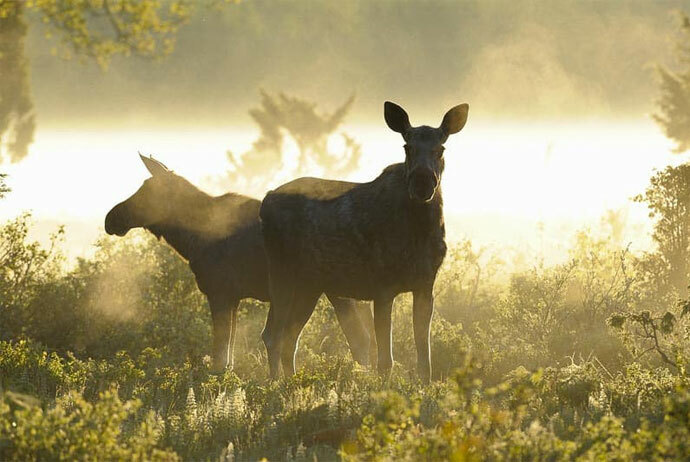 Nothing beats exploring the great Norwegian outdoors, and the people of Trondheim are lucky enough to have their very own slice of nature right on their doorstep. 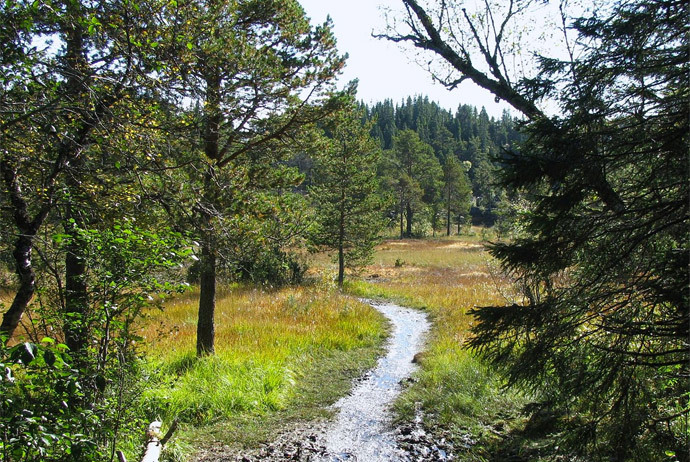 Bymarka, or the ‘city forest’, includes 10 lakes and more than 200 kilometres of marked trails for visitors to discover. This covers both easy paths that are suitable for families, as well as some more challenging hikes. Getting to this outdoor area involves taking the tram up through Trondheim’s suburbs to the Gråkallen mountain. The tram ride is worth experiencing in its own right, as it offers splendid views out over the city and its surroundings. Tickets for the Gråkallbanen Tramline are available online. You can also pay with cash or card on the trams themselves, where a ticket costs around 60 NOK. If you’d like to dig a little deeper and learn more about Trondheim during your visit, consider taking a guided tour. Led by a local, this private tour gives you the chance to choose what you see and do, or follow the guide’s recommendations. Restaurants in Norway can be quite pricey – and Trondheim is no exception to this. 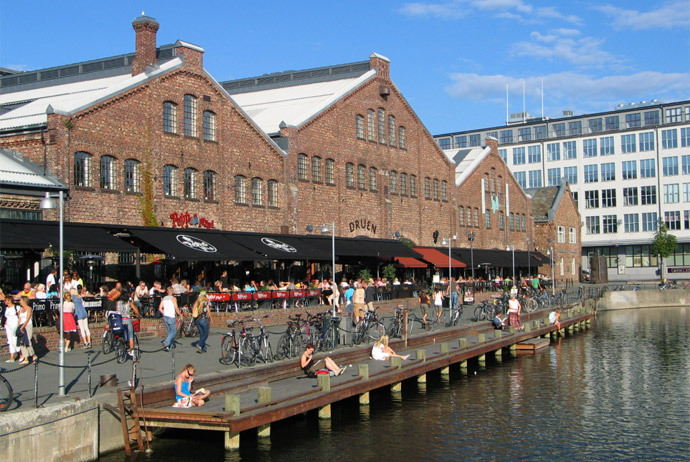 Nevertheless, there are a few cafes and restaurants in Trondheim where you can eat your fill without having to worry too much about the price tag. First, we’d recommend visiting the Norwegian stalwart, Egon. This stylish chain has restaurants at several locations in the city, including Solsiden, and serves up a varied menu of Norwegian and international classics. If you’re a fan of plant-based cuisine, you should also check out the Hagen restaurant in Bakklandet. Here you can try a range of mouthwatering vegan dishes, all at reasonable prices. And, okay, it’s not exactly a budget restaurant – but any visitor to Trondheim should really check out the inimitable Baklandet Skydsstation. With its old fashioned furniture and design (and an incredible fish stew) it’s no surprise that this restaurant has been rated as ‘Scandinavia’s most charming café’ by National Geographic. So, how much do you need for a trip to Trondheim? Well, it’s definitely possible to visit Trondheim for a few days without dropping a whole month’s wages. For a weekend in Trondheim, we’d recommend budgeting around 2000 NOK. This will easily stretch to a night in an affordable hotel, some meals out, entrances to attractions – and some spending money left over to splash in the city’s independent boutiques. 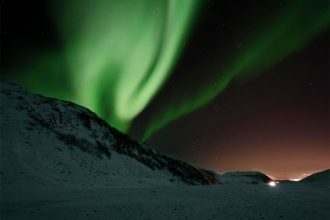 With this much to see and do, at such a low cost, you might just find that your weekend away in Trondheim turns into a lifelong love affair. Trondheim’s a safe place to visit but you should always make sure you have a decent travel insurance policy to fall back on in case things go wrong. Trust us when we say that having good travel insurance can make a world of difference. 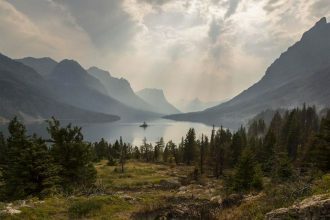 For lots of different reasons we recommend World Nomads – you can get a quote on their website, even if your trip has already started.